Josh recently wrote a paper on the history of Peoplestown and current issues the neighborhood is facing. I’ve provided some of the excerpts from his paper (the whole paper is 11 pages, a little long for the blog) so people can have a better idea of where we are living. The story of Peoplestown began in the 1890’s. The Peoples family, a Jewish immigrant family, owned over half of the developed land in the neighborhood. They are reported to be the namesake of this Atlanta community. In its infancy, lining the streets of Peoplestown were single-family Victorian style homes with small servants’ quarters hidden in the rear. By the 1920’s the population of Peoplestown was comprised of African Americans, Whites, and Jewish immigrants. The residential area continued to expand with the introduction of the street trolley system that transported residents to and from work in a growing downtown Atlanta. As the neighborhood experienced continued growth it also became segregated by race with whites living on the west side of town and blacks on the east. By the 1930’s and 40’s development slowed and many white residents began to move out of the neighborhood. The large houses that were left vacant quickly became boarding houses and fell into disrepair. With the conclusion of World War II, Peoplestown saw a revitalization of its once diverse community. A large successful industrial area had developed that stretched from Peoplestown to the neighboring community of Mechanicsville. “Schools, a library, post office, hospital, drug store, clothing stores and movie theaters were close enough to the neighborhood to provide employment and recreation, allowing for a convenient urban existence” (Neighborhoods Count NPU-V 2004). As a result of all of this, many jobs were made available within walking distance. During the 1950’s and 60’s, Peoplestown and surrounding areas experienced drastic changes. Two of the biggest things to impact the community were the massive freeway and parking construction projects, and the Federal Housing Act of 1949. The housing act brought subsidized rental housing to the community, which inevitably decreased property values. It is said that the decline in property value was a root cause of “White Flight,” the rapid loss of affluent white residents and business people. However, race and racism were also prevalent forces in the loss of nearly half the population of Peoplestown from the 1960’s to 2000. In Atlanta, white business leaders met with other leaders in the surrounding African American communities to mediate issues surrounding violence. During that time there was evidence of how hate and violence related to Jim Crow laws, desegregation in schools, and Civil Rights, were affecting the economic stability in Birmingham, Alabama. However, Atlanta during this time was deemed “The City Too Busy to Hate”; in return individuals, most of whom were white, verbalized “other” financial reasons for their departure from Peoplestown. The use of “financial reasons” allowed themselves to not have to focus on race relations or the true reason they were leaving Peoplestown. These changes and attitudes, and the affects they had of Peoplestown, were also seen in other areas of Atlanta. During this time there were several promises made via the Urban Renewal program that were not kept. For example, the former Fulton County Stadium and its parking facilities were constructed on land in Summer Hill, a neighboring community, which was originally reserved for the rebuilding of homes that were destroyed because of the freeway systems. In general, the Civil Rights movement greatly affected the city of Atlanta as a whole. “Peoplestown was a people’s town. Rich Jews, poor blacks, rich, white, just mixed in together. We had drugstores, grocery stores, a theater” (Who’s Who In Peoplestown). The population of Peoplestown continued to drop from 5,598 in 1950 to 2,527 by 1990, and has continued to drop to approximately 2,096 as of 2010. This shift in population has continued due in part to the failed promises in 1970, and also the lack of resources, jobs, and recreational activities within Peoplestown. During the early 90’s after the city of Atlanta had been given privilege of hosting the 1996 Olympic Games, several key community members in Peoplestown including Ethel Mae Matthews, Columbus Ward Jr., May Helen Johnson and others formed the Atlanta Neighborhoods United for Fairness (A’NUFF). A’NUFF protested the stadium being built in the Peoplestown neighborhood. The plans for the stadium and subsequent parking areas were moved ¼ of a mile further from Peoplestown as a result of their dedication and activism. Currently there are approximately 876 homes in Peoplestown and 300 of those are abandoned or have been boarded up by their respective owners. With the lack of inhabitants, crime and vandalism are rapidly becoming a more noticed issue. The current trend, however, in neighboring communities such as Grant Park is that young white business people are moving back into neighboring areas often gentrifying the poor there, while trying to boost the economic structure. Emmaus House completed a community needs assessment in October 2011 highlighting the perception of residents in 251 of Peoplestown’s 876 occupied residences. The project focused on race, employment, education, homeownership, renting, length of time in the neighborhood, children, religion, health, crime, safety, recreational activities, quality of life, and services offered through Emmaus House. “Of the 251 participants, 69.7% were female and 30.3% were male. The majority (88.4%) identified themselves as Black/African American; 8% were White/Caucasian, and the remainder reported being Hispanic/Latino, Asian, American Indian or Pacific Islander, mixed heritage or other” (Emmaus House Community Needs Assessment). Of those surveyed one in four (25%) are between 25 and 34 years old and 62% have lived in Peoplestown for three or more years. The number of residents’ having a high school diploma/GED are 39.4%, and the percentage of those who completed college is 21.9%. Employment rates for Peoplestown are low. Only 26.3% of those surveyed have full time employment, 17.5% have part time employment, and almost 55% of the residents surveyed in Peoplestown reported being unemployed. . Over half of the individuals have a place of worship, however less than half of those attend services in the Peoplestown neighborhood. For the majority of individuals surveyed there were significant issues mentioned concerning: gang violence (31.5%), drug dealing (53.8%), violent crime (43.8%) and property crime (51.8%). Other challenges for the community include little to no access to fresh fruits and vegetables, or even a grocery store, limited activities for teenagers, and educational attainment in Peoplestown is below average for the City of Atlanta. However, even in light of the concern, it was interesting to learn that over 68% of those surveyed feel that Peoplestown is a good place to live over all. In relation to Emmaus House, and the services offered, 77.7% of individuals reported knowing about Emmaus House. Of those people that had utilized the programs offered, most acknowledged they had positive feelings about the resources being offered at Emmaus House for the community. Emmaus House, and the McDevitt Center, is actively involved in the daily life of the Peoplestown community. The community’s nine Christian churches and one Mosque seem to do little in the way of providing for the needs of individuals outside their congregations. On the fourth Thursday of each month Emmaus House hosts a free community dinner. During a recent special dinner held on November 10, 2011 discussions were taking place while waiting in line by several of my neighbors. They were discussing that it seems none of the other churches in the neighborhood are willing to provide assistance or an area for fellowship for Peoplestown community residents. One may be tempted to focus on all of the negative that exists in Peoplestown and become disheartened and jaded that anything positive could thrive here. But, daily I have been able to see positivity in my neighborhood. I see the guidance of mothers who want the best for their children. The smiles of children as they play in the field at Four Corners Park, or the new D.H. Stanton Park that will one day be part of a much more accessible public transportation network called the Belt Line. Peoplestown has grown up out of racism, industry, and segregation. But an old deeply rooted hope exists focused on reconciliation, justice, peace, and safety. What Peoplestown lacks in resources for employment and economic opportunity it makes up for in the attempts at increased education at D.H. Stanton Elementary School. Peoplestown has potential. Its community leaders are passionate, its neighbors are involved, and again there is hope for a successful future. This hope is the heart beat of many who feel that the “inner city” and Peoplestown is not lost. 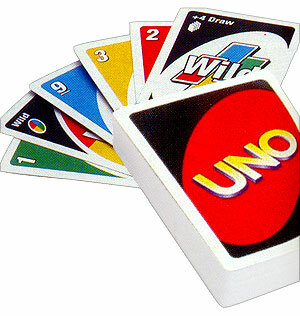 How do you play Uno? So Tuesday evening following the afterschool program, we found ourselves playing Uno at our dining room table with Mackenzie. She told me how much she loves the game but doesn’t get to play that often. Remembering back to my love for the game, I could definitely relate. As we were each taking our turns playing it came around to Mackenzie and she played a couple cards, and I stopped her saying that wasn’t in the rules. She looked at me and simply stated that’s how she and all her friends played. I looked at her, relaxed, and responded that if she wants to play that way we would. Sitting there I realized does it really matter what rules we follow. What I was finding more important wasn’t the game at all but the time I was actually getting to spend with Mackenzie. The relationship I am building with her is far more important, and I look forward to more games of Uno around our dining room table. My husband, Josh, and I decided that on Saturday evening we would take a nice long walk around our neighborhood, Peoplestown. Saturday’s are a day meant to be spent out in the community getting to know our neighbors, and we’re encouraged to invite people over for dinner. We were feeling discouraged because the people we met at the Laundromat the week before weren’t there this week, there was no cookout in the park we could walk over to, and no one was coming over for dinner. So we thought taking a walk might help, just maybe we would meet someone along the way. While walking the streets of our neighborhood we discussed that if there were groups of people out in their yards who seemed inviting that we would make a point to stop and talk. The past weekend we felt like we had missed out on a couple good opportunities to do this because we kept on walking. But the longer we walked, no one seemed to be out and the few who were shared brief encounters and nothing else. We walked down a couple more streets and finally decided we should head home, both of us with an obvious frustration about the situation. As we reached our place, simultaneously we both broke out saying how we felt like we weren’t doing something right. Shouldn’t we be building relationships with our neighbors, having people over, and kids waiting at the door to play? We’d heard all these stories about people’s Mission Year experiences and the neighbors they had met and grown to love, and we both shared how we felt like we were missing out on something. After discussing our feelings about the situation, it was quite clear that we felt like we were missing out on community. A strong motivation for us deciding to do Mission Year was the strong focus on community. We had moved to Cleveland, Ohio for jobs out of school, not knowing many people, and the two years we lived there we struggled to find a sense of community. I loved my job and the community I felt with my co-workers and Josh felt the same way, but we constantly struggled to find that same comfort and sense of belonging together outside our workplaces. And as much as I enjoyed my job, I was miserable at the same time because I didn’t have community. Sitting there Saturday night I began to worry that those same feelings would creep back in and that was something I couldn’t bear. While having dinner Sunday night with a couple that did Mission Year several years ago, we were open about our feelings of frustration. They were straightforward with us that it took several weeks before people started coming over and several months before it became consistent. But they discussed the different versions of community they had during that time, and it got me thinking that maybe we did have community developing. It took me until this morning (Monday) to realize how blessed we have been with community since coming to Atlanta. While waiting for the other married couple to move in next week, our City Directors have supported us by stopping by and inviting us over for dinner. We’ve had the opportunities to have dinner with Mission Year: Married alumni who live in the area. We have taken the time to travel to the other team’s houses to spend time discussing our current curriculum. The ladies at church have started to take us in. And the staff at Emmaus House has been extremely welcoming and willing to help us get connected to people in our neighborhood. In the book we are currently reading by John Perkins it states, “Even good intentions can’t rush a deep relationship into existence.” Every connection, every friendship, every relationship has to start somewhere, and expecting people to instantly warm up to us when we’re new in the neighborhood is unrealistic. I just thank God for the community He has already provided for us and the community He is going to provide. At the same time many churches are facing the issue of this generation vanishing from their congregations. When I talk with my friends, some have chosen to turn from the faith of their parents because of negative view points while others still believe and just feel that the church has lost touch with the reality of our current culture. In every conversation, I always seem to find wounds. These wounds have occurred because of the “loving” Christian culture they thought they knew. How many times have you seen people verbally beat each other up in the “name of God”? How many times have I judged, acted, and made comments thinking I was justified because of my beliefs? It’s really easy to point the finger and say it is because of what “they” did not me that causes people to leave the church. And all at the same time I hold my very own wounds that have been afflicted by the church – wounds of mistrust, rejection, and dishonesty. So many times we only talk about the first part of this passage and neglect the second half. We focus so much on loving those around us that we forget to love the people we serve with in the same way. We neglect each other’s needs and end up hurting each other. I have been wounded and I know I have wounded others. So I am simply now trying to learn to love ALL my neighbors. Through my times of reflection this Lent I have slowly come to the realization that I am disenchanted with the Modern Church. I have a strong desire for something more than what it is currently offering me. I can attend various church services, listen to a podcast sermon, and read articles on well known Christian websites, yet this inner ache for something more still exists. I have this strong desire to be part of a Church that lives, loves, cries, suffers, celebrates, and rejoices together. I have this ache to see the Church provide for one another through physical and spiritual needs. I long to see fellow believers creating a community where others are drawn in because they see God at work. The problem is that I have yet to see a Church like this. I yearn deep inside for a community that loves not only one another but is driven to love those around them. A community that full heartedly believes that God is Love and this Love compels us to act, serve, and live a life of showing this Love to others. A community that helps not because we know we should, that it’s the good thing to do, or it looks good in God’s eyes. But a community that with every inch of their being feels this sense of gratitude and thankfulness to a God that Loves that they naturally want to share it with others. A community that recognizes that God is Love but also much more. Does such a community, a Church exist? I don’t know. Can such a Church exist? Absolutely. I will continue to seek this Church out. And I stop you know from thinking that this day will come when Christ comes back. Why do we have to wait until that day? Why is it not possible now? Did Christ not preach on praying for “Your kingdom come, your will be done, on earth as it is in heaven” (Matthew 6:9-13)? If the early Church was able to have such a community why can’t we? Living several hours away from family and some of our closest friends, my husband and I really enjoy the time we get when we have the chance to get away for a weekend and visit these people. After a great weekend in Columbus this weekend, we were taking the very familiar route of I-71 back north to Cleveland, and we both kept saying how great it was to see everyone this weekend. I continued to think, what makes these chances to see everyone so wonderful, and why do we long for these opportunities. One word kept coming to my mind, COMMUNITY. God created us as beings who long for community. In the beginning God stated, “It is not good for the man to be alone. I will make a helper suitable for him” (Genesis 1:18). In the Psalms 133:1 it states “How good and pleasant it is when God’s people live together in unity!” I really like the King James Version that celebrates how great it is for us to “dwell together”. Isn’t community what Christ formed when he was here on Earth? Jesus called the 12 apostles to follow Him, and they traveled around teaching, serving, and loving together. He never once told them that it was going to be easy. In reality He actually warned them that it would be hard, that they would be persecuted, arrested, and hated (see Matthew 10:1-42). It makes me wonder is this picture of community possible in our world today? We are a culture that is focused on the American Dream and individualism. “I can do it my way. I don’t need your help.” We spend much of our time planning out our lives and pursuing our individual goals, usually with no regard to those around us, yet, in our inner beings, we still long to connect with someone or a group of people. No wonder The Facebook phenomenon has exploded. Isn’t the purpose of Facebook to connect, to network, to create community? But we can do it on our terms. You can friend who you want, choose to respond to a message, post on other people’s walls, and even delete posts if you don’t like them. Is this really community? Shane Claiborne, founder of a faith community called The Simple Way, and he has made a point to challenge this concept. The Simple Way is a community of believers living together, pursing to see what it is like to live like the early Church. Shane challenges that community is not easy, “For everything in this world tries to pull us away from community, pushes us to choose ourselves over others, to choose independence over interdependence, to choose great things over small things, to choose going fast alone over going far together. The simple way is not the easy way. No one ever promised that community or Christian discipleship would be easy” (The Irresistible Revolution, p. 135). It’s easy to stay within the comfort zones of what we know “community” to be in our tech savvy modern world. What would it take for you to challenge those boundaries, seek true community, and live in wonderful harmony with those physically around you? To find out more visit www.thesimpleway.org. Their website can give you some useful and challenging information, as well as other websites, articles, and books to look into. Mission Year and Alterna, which we will be involved with this next year, are both part of the Community for Communities project through The Simple Way.